A rare inside look at family-controlled global construction giant Bechtel. 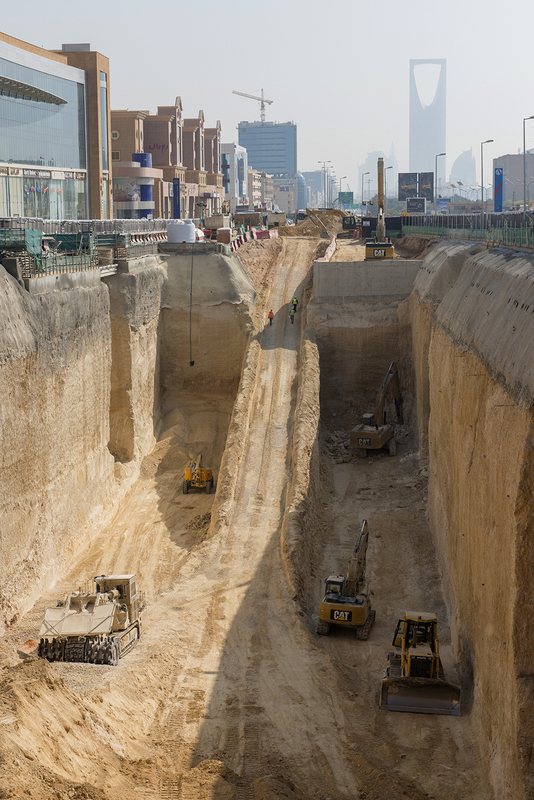 Fortune 26 May 2016: "Fourteen stories below Saudi Arabia’s Capital, Riyadh, a 1,000-ton monster is carving a hole. The tunnel-boring machine, or TBM, is longer than a Boeing 747 and weighs five times as much. It grinds through the Arabian Desert sandstone 24/7, chewing through the pink-hued rock with its tungsten blades to sculpt a circle 33.6 feet in diameter. The massive device has been given the name Mneefah, for the legendary stallion that carried the kingdom’s first ruler to victory. This modern Mneefah, however, grinds along rather than gallops. On a recent visit, the tunnel behind the machine’s cutting head is bathed in an eerie fluorescent light. Suddenly, in a cycle that repeats every hour, the blades stop whirring, and a robotic arm swoops down and uses its powerful suction shoe to slowly pick up eight curved six-ton concrete panels one at a time and place them on the newly carved wall in a..."